New York State grew 447,000 pounds of hops in 1840. 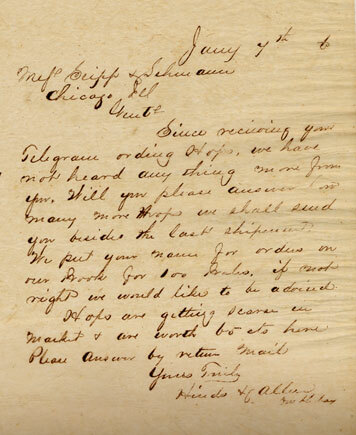 Otsego County, New York, was the leading producer by 1835, with Cooperstown, New York, as the central hub of production. Hops production in New York State peaked in the 1880’s, with nearly 21 million pounds produced per year. Production fell off dramatically after the turn of the century. Better growing conditions in the western United States left New York State farms unable to compete in the market. Hop houses were a common feature of the Central New York landscape throughout the nineteenth century. Hop houses served as places to dry, press, and store hops for market. Hop houses by the 1840’s and 1850’s consisted of a four room design. These wooden, framed structures included an upper story for drying and storing and a lower story for a kiln and press room. The design of the kiln went from an open fire to one enclosed within a stove by the middle of the 1800’s. 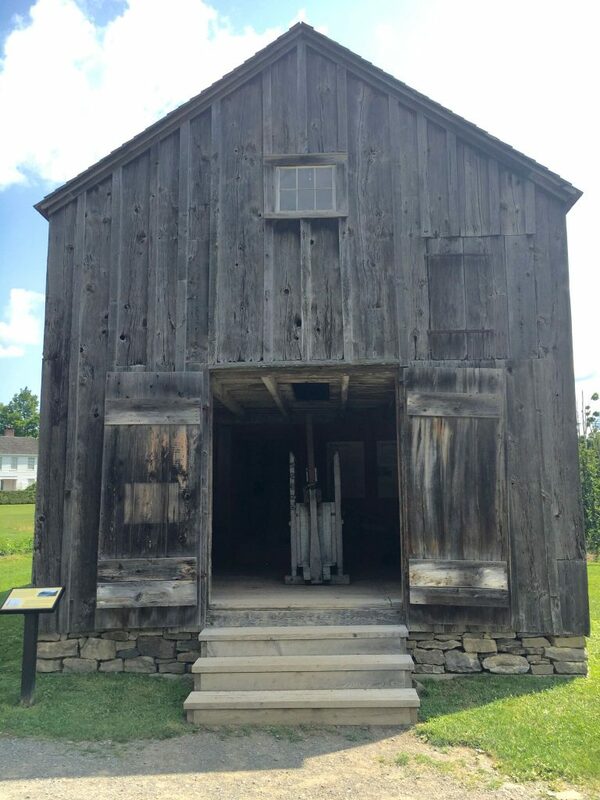 The hop house at the Farmers' Museum came from Samuel Pope's forty-acre farm in Burlington Flats, New York, which he bought in 1847. He raised livestock and grew produce. 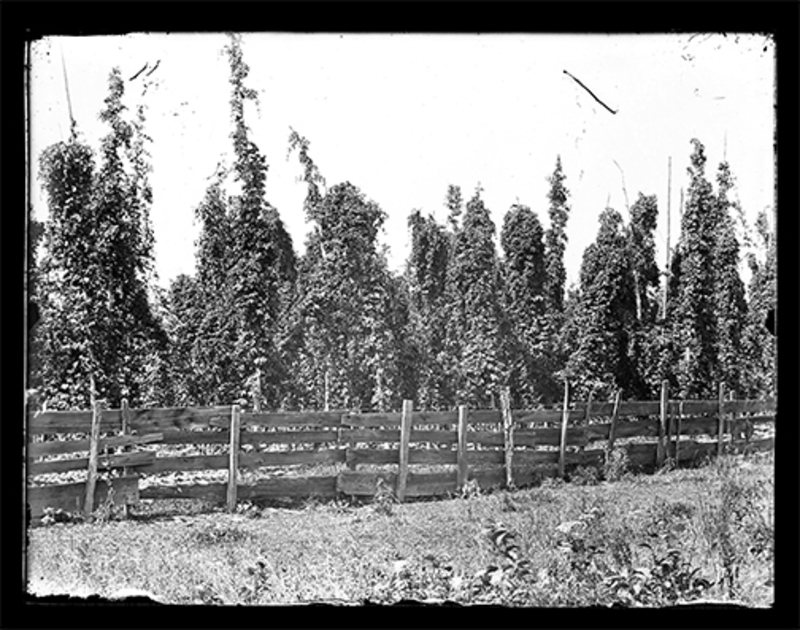 Hop houses were extremely common in central New York – a center of hop production – in the 1840's, when hops were one of the most valuable crops in the region. Farmers used hop houses to dry and store the hops after they were harvested. 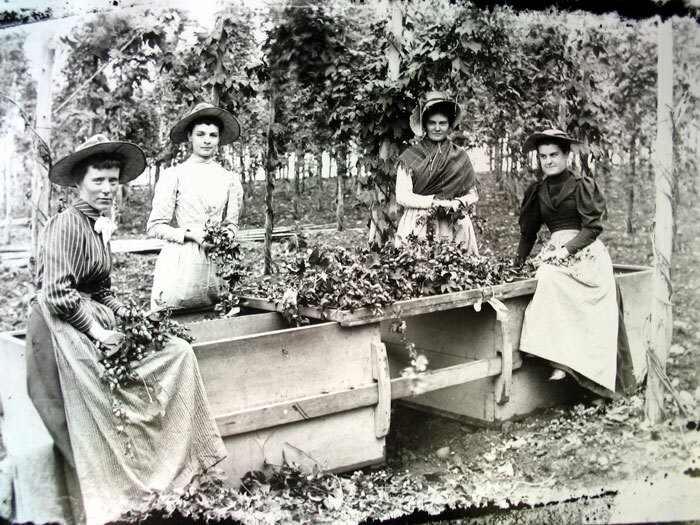 During the nineteenth century, harvesting hops was a labor intensive event. 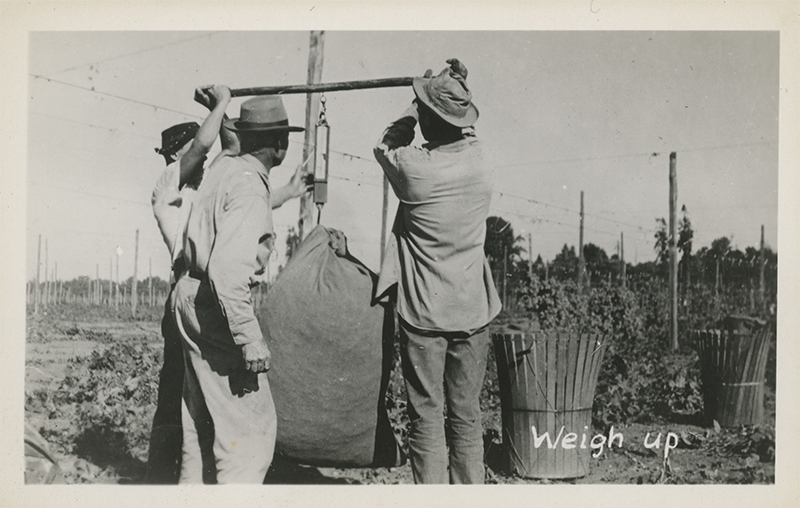 The amount of laborers required to pick the hops greatly out numbered the amount of labor needed to plant and care for the growing vines. 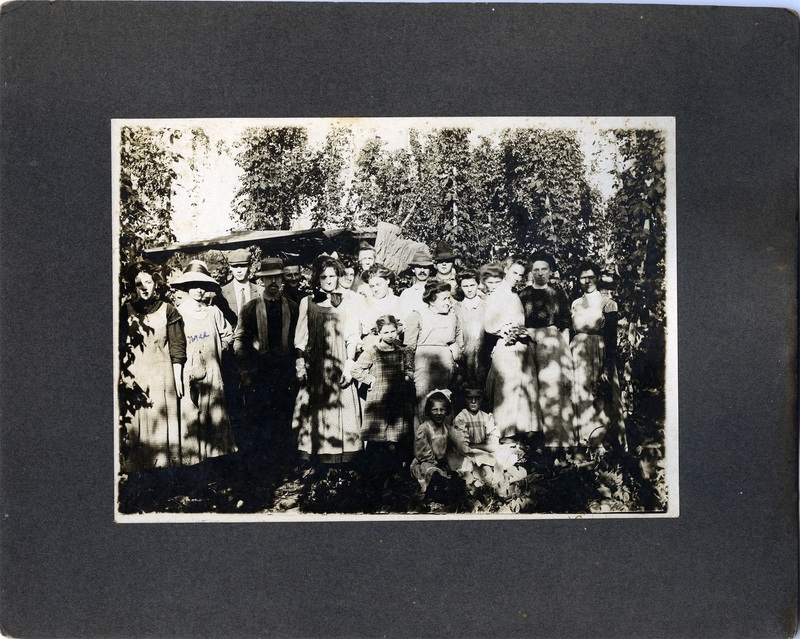 Small farms relied on local labor, such as friends and neighbors, as well as hired farm hands called in from the surrounding area to bring the crop in. 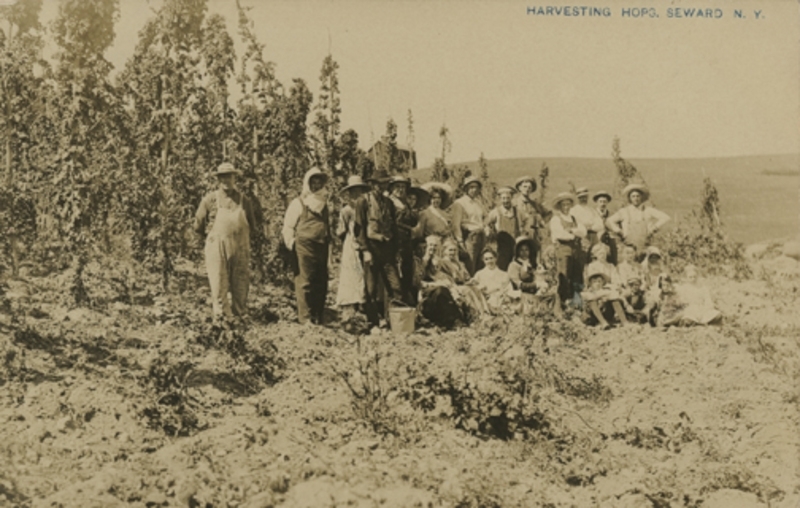 About twenty people were needed to pick the average four acre hops field. As farms grew in size, growers had to attract labor from outside the region. 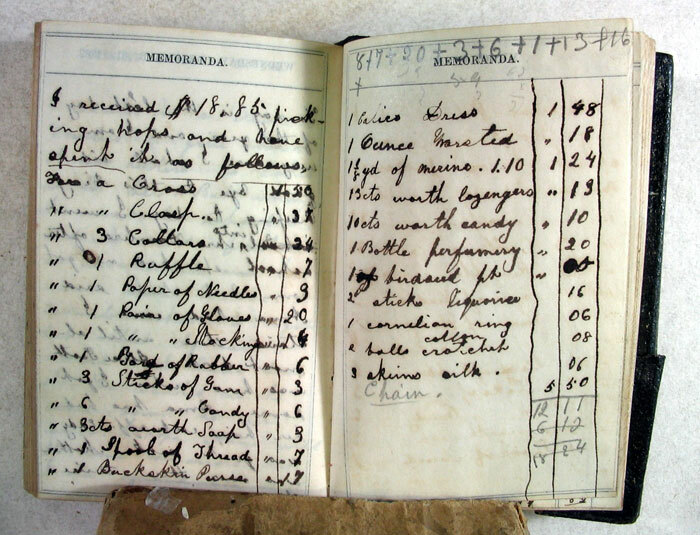 This often required that the grower feed and house pickers for nearly three weeks. The largest hop growers could employ a thousand people during harvest time, swelling the populations of rural villages with people from nearby cities. Hop picking was not an activity requiring a great deal of physical strength; rather those with nimble fingers and speed made the most money. 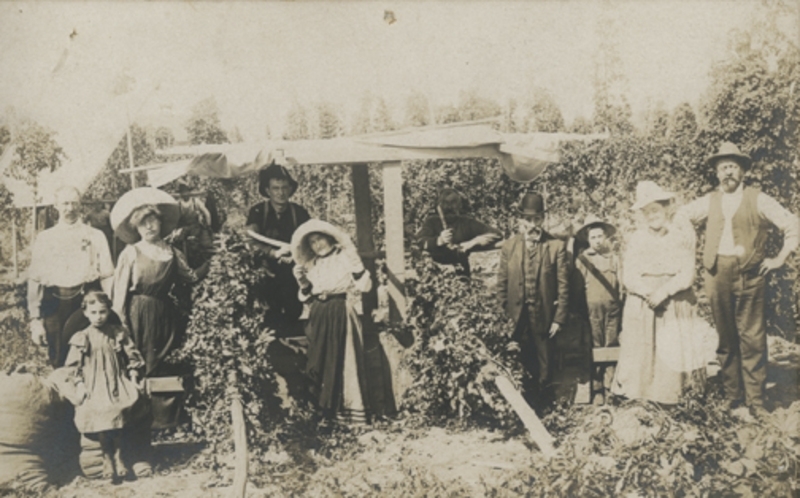 Young people were desired hop pickers because they were cheaper to employ than adults. Women and girls made up much of the labor force because men on local farms and in factories were not able to be away from their own work for long periods of time. 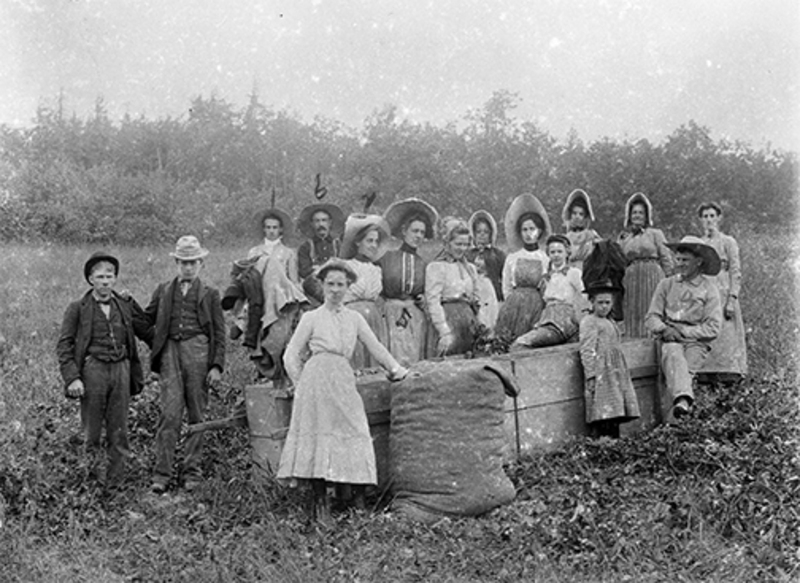 Hops picking was often accompanied by festivities. Girls and women might spend a fair amount of time preparing clothing and accessories for hop dances and other social events. It could even be a place for a young woman to meet an eligible match. 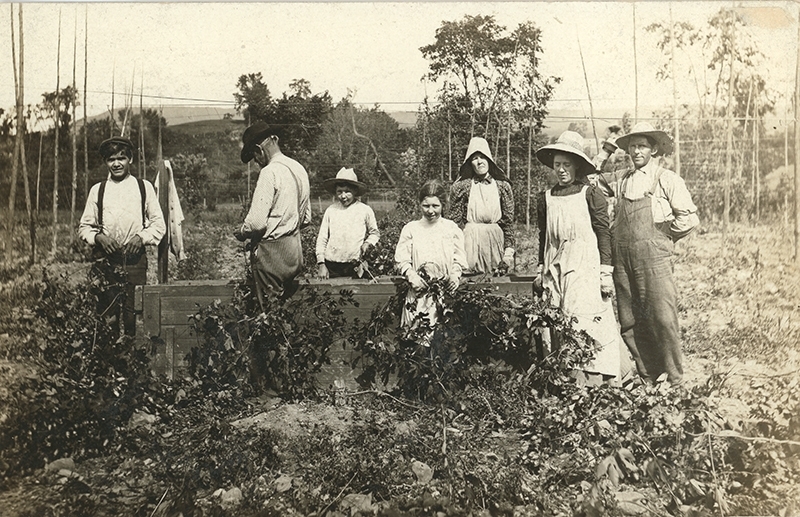 As the size of the hops fields expanded, workers from surrounding cities were encouraged by local agents working for farmers to pick hops. Hops picking was such an important event for so many decades in Central New York that changes in transportation were made to support the harvest. Train routes were expanded and special stops added to connect city laborers with the rural hops farms.